Starbucks, not a locally-owned company like Mocha Hut or Murky Coffee, in the Washington Convention Center. 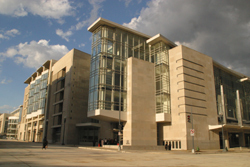 The Washington DC Convention Center is a three block long box in the middle of a neighborhood. Local commercial district revitalizers complain that because the Convention Center hasn't put in the retail that it is supposed to have, it isn't having much positive spillover benefits on the surrounding commercial strips bracketing the center (7th and 9th Streets NW--7th Street there was once a vibrant commercial corridor but it was destroyed during the riots). Who's to say it will anyway? That's not to say that such facilities don't help local hotels and extant commercial and entertainment districts. 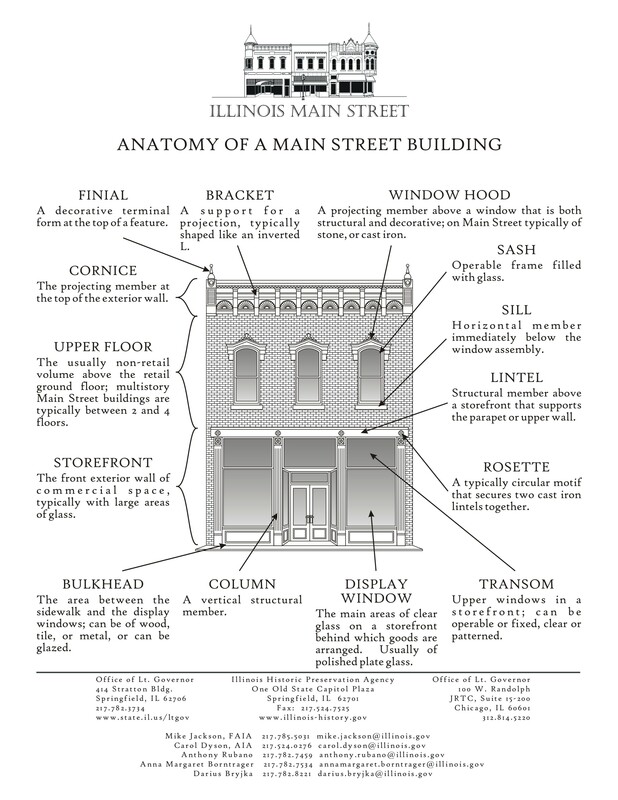 The question is can they aid the revitalization of the area around the Center? They could, if and only if, the centers are designed to connect, complement, stabilize, build, and extend the areas around them. 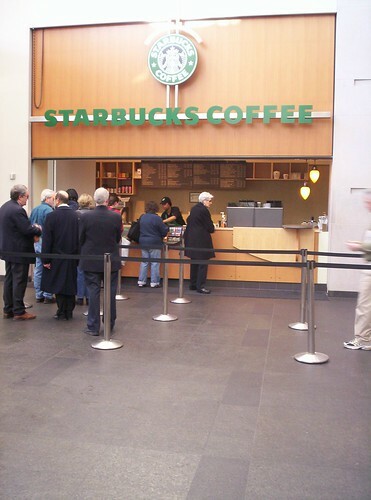 I raise the issue of Starbucks at the Washington Convention Center in the context of "Building a Local Economy" which as I have been mentioning lately, tends NOT TO BE AN ELEMENT in local comprehensive plans, including DC's. Every time a municipality creates such a project, it needs to take special measures to ensure that the facility connects to, builds, and extends the local economy. A Starbucks, repatriating its profits to Seattle doesn't do much for the local economy in terms of reinvestment and building local capital, although it does add employment. Similarly, the other food service operations in the building should be local companies. Likely they are not. Another real problem with the Convention Center is the military-like presence of security guards, who interrogate you to determine if you belong. It can be quite unpleasant. I know this is done to prevent the building from being blown up, but it communicates a terrible message, that DC IS UNSAFE!, that you must be careful and coddled, or you will be killed. Such a message doesn't likely promote "sampling" of other venues that DC has to offer. 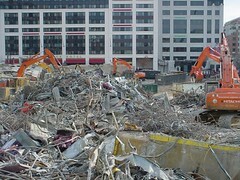 This is what happened to the last Washington DC Convention Center. (Photo by Wrecking Corporation of America.) Is a fear of such destruction what drives the "security" agenda for its replacement?